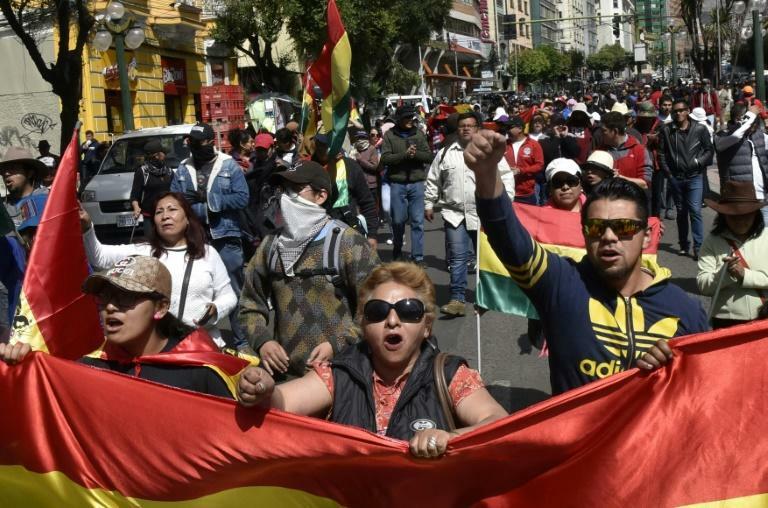 Thousands of people took part in protest marches across Bolivia on Thursday amid a general strike called by opponents of President Evo Morales' bid for a fourth term. 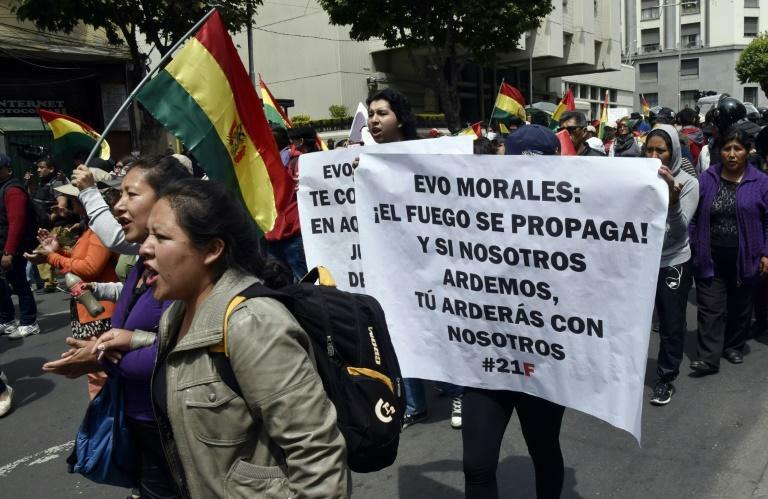 Groups of activists blocked streets in the capital La Paz and other main cities, many waving Bolivian flags and waving banners saying "Bolivia said No" -- a reference to a 2016 referendum ignored by Morales. Interior Minister Carols Romero played down the blockades and said the country was working "as normal". Banking and other businesses remained opened in defiance of the general strike call, despite widespread disruption of public transport. The government said 5,000 people took part in the protests. "The results are far from what the organizers were looking for, " said Alfredo Rada, minister with responsibility for the presidency. The protests follow the decision Tuesday by Bolivia's Supreme Electoral Court to give a green light for Morales -- in power since 2003 -- to seek a fourth term. The ruling party last year dismissed the result of the 2016 referendum that denied Morales the possibility of seeking a fourth term as president. Morales argued that it is his human right to seek reelection. His main opponent in the October 2019 elections, ex-president Carlos Mesa, called on the opposition to wage "a democratic battle" against the court decision. The influential Catholic Church hit out at the court ruling, saying it "called into doubt the basis of democracy" in Bolivia, and "left Bolivians with an uncertain future." 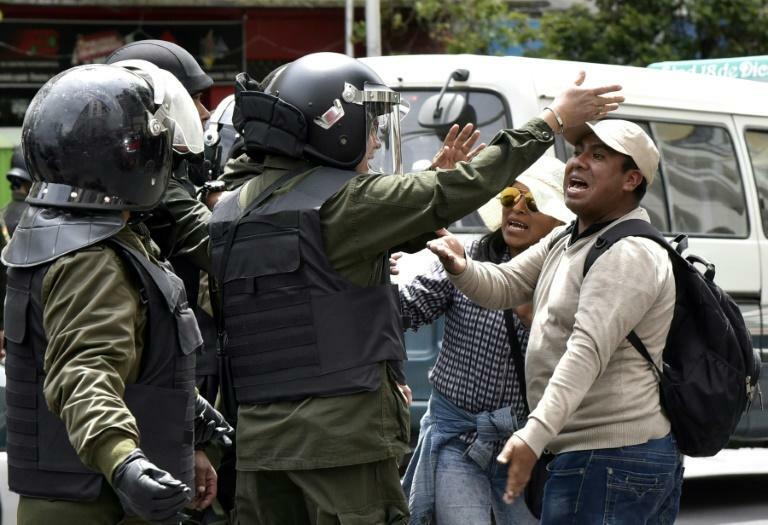 The biggest protests came in the eastern province of Santa Cruz, whose governor Ruben Costas heads opposition to Morales. Three separate marches that set off earlier this week from outlying provinces were expected to converge in the capital La Paz later Thursday. La Paz mayor Luis Revilla, an opponent of Morales, a supporter of Mesa, said "what remains now is to resist this decision, is to turn to street protests, to prevent this decision being realized." Another opposition figure, Samuel Doria Medina -- a three-time loser to Morales at the polls who has dropped out of the 2019 campaign in favor of a single candidate -- called for "unity to stop the dictatorship."